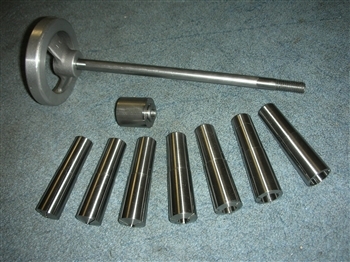 NEW FOR THE ATLAS CRAFTSMAN 9, 10 AND 12 INCH LATHES MORSE #3 TAPER COLLET SET. 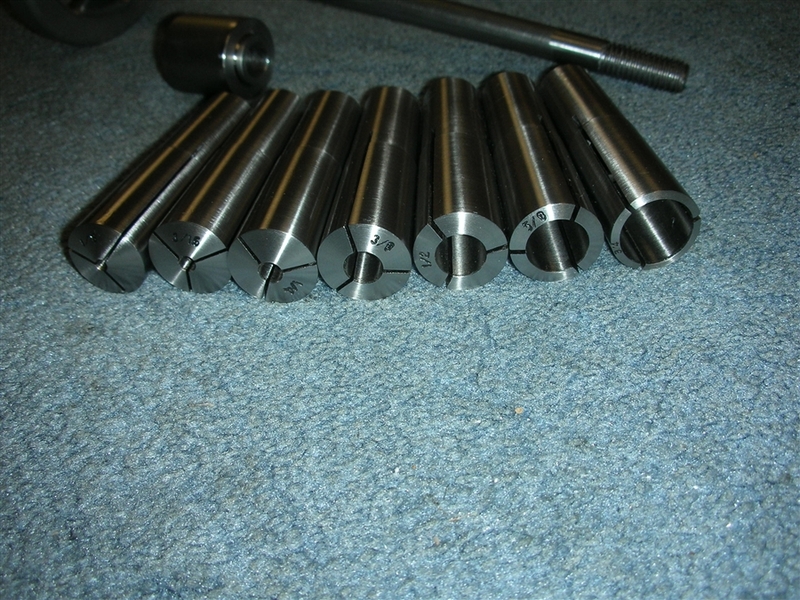 PRECISION AND GROUND AND HARDENED 7 PIECE COLLET SET WITH 1/8, 3/16, 1/4, 3/8, 1/2, 5/8, AND 3/4 COLLETS. ALSO COMES WITH USA MADE 4 INCH HANDWHEEL AND DRAWBAR AND GEAR DOOR SPACER.